Our Bank St. weight loss clinic is one of our five locations in the Ottawa, Ontario area servicing local residents with top quality dieting plans. This diet center, located at 181 Bank St between Laurier Ave W and Somerset St W, on the main floor of the L’Esplanade Laurier and next to the Eggspectations restaurant, caters to customers looking for great weight loss programs in Ottawa and around neighbouring cities like Gatineau, Arnprior, Rockland, Mississippi Mills, and Cornwall. 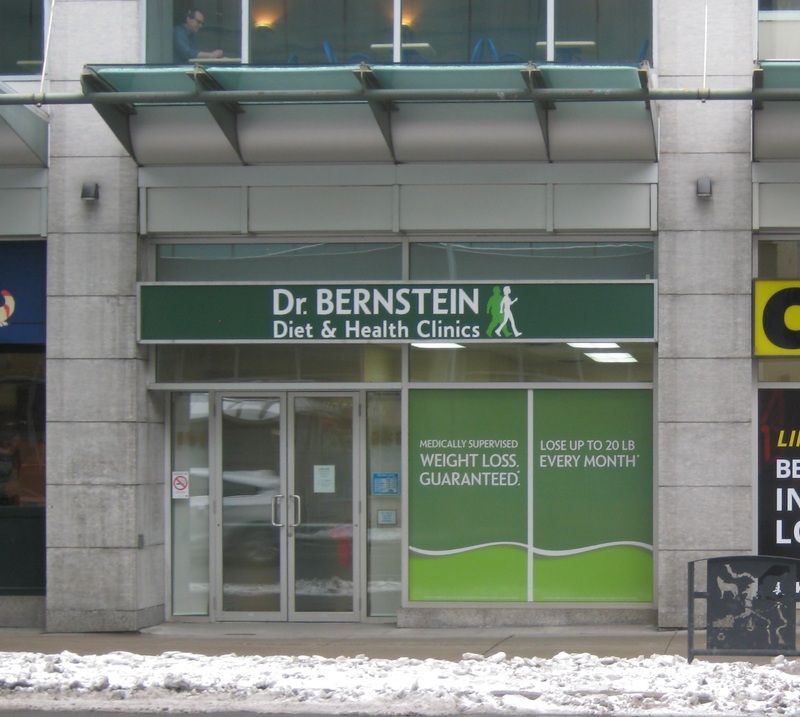 If you are looking to stop struggling and start succeeding in achieving your weight loss goals around the Ottawa area, start with the medically supervised diet at the Bernstein Diet & Health Clinics location on Bank St.
Get rapid and dramatic weight loss results with the help of the medically trained staff of the Bernstein Diet & Health Clinics at 181 Bank St. Select Your Height 4'8" 4'9" 4'10" 4'11" 5'0" 5'1" 5'2" 5'3" 5'4" 5'5" 5'6" 5'7" 5'8" 5'9" 5'10" 5'11" 6'0" 6'1" 6'2" 6'3" 6'4" 6'5" 6'6" 6'7" 6'8"
We Promise You Will Lose The Weight!